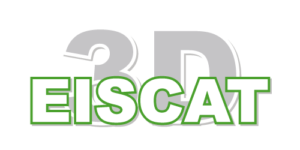 EISCAT Scientific Association is recruiting an HPC System Expert for EISCAT3D. EISCAT3D is a major scientific research instrument and infrastructure composed of three large phased-array antennas, a powerful transmitter, and complex computation/processing hardware and software (see e.g. https://www.eiscat.se/about/eiscat3d7/). The implementation phase started 1 September 2017 and the system will be ready for use in 2021. EISCAT3D will have three operating sites and each site will have it’s own 10’s of TFLOPS compute cluster for signal processing and data analysis. The main focus of this role is to maximise system performance for both the realtime signal processing tasks and batch data analysis tasks. The input data rate for the system is up to 4 Tbps, so experience with I/O limited rather than compute limited systems would be beneficial. System development and performance optimization of the E3D clusters for both real time workloads and data analysis. Applications should be sent to e3djobs@eiscat.se (subject: HPC System Expert) at earliest convenience. The vacancy is open until filled.